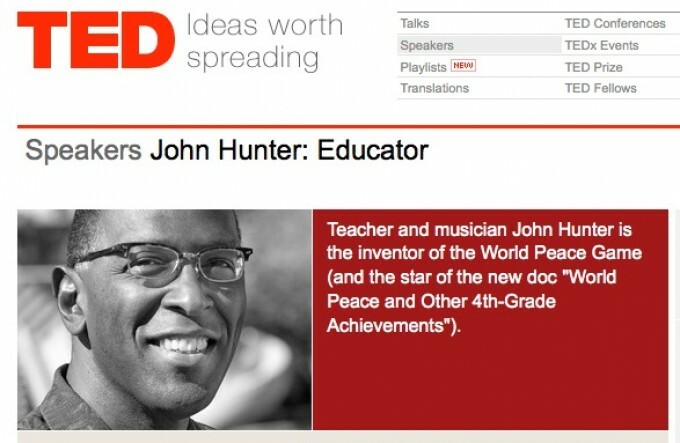 NHK, Japan’s Public TV, Will Feature John Hunter’s TED Talk in November! John’s TED2011 Talk will be aired on NHK, which is Japan’s equivalent of BBC. It will be featured on Super Presentation, a NHK program which presents the top TED Talks (John Hunter was selected as one of the “2014 All-Star 50+ Favorite TED Speakers”). The episode, Teaching with the World Peace Game will be televised throughout Japan in November 2014. The book, The World Peace Game and other 4th Grade Achievements has been translated into Japanese, and will be promoted as part of the presentation. The translated version was published in March 2014.